Part of our holiday traditions has become Katie playing in our communities Christmas show. 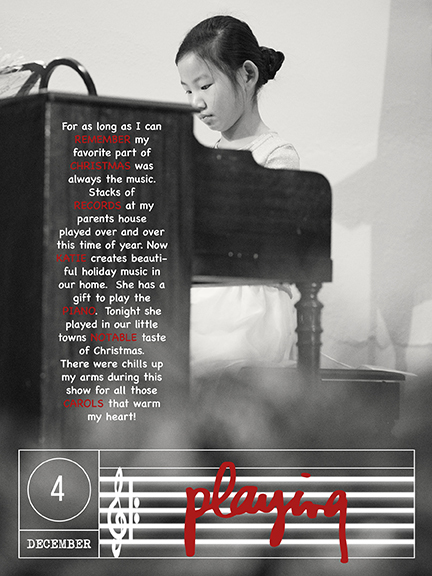 This year Deck the Halls was her chosen piece with a little improvising in it. I LOVE Christmas music and when it comes from my daughter it is that much sweeter!